From Rte 95 So, take exit 58B Route 110 West. We are 3.5 miles on left. From Rte 495, take Exit 54 (Rte 150 Amesbury) Take a right off the exit. Turn left onto Route 110 W. We are 1 mile up on left. 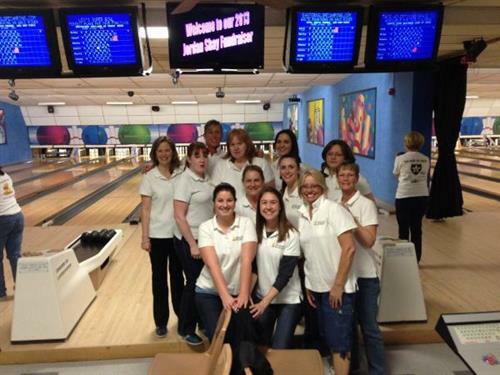 We offer 24 lanes of candlepin bowling, league play, public bowling, cosmic bowling, kids bumper bowling, moonlight oldies, business functions, children's birthday parties, arcade room, adult parties, corporate functions and team building events. We also serve beer, wine, & snacks. A 90 person function room is available with 2 plasma TVs, wireless internet, DVD & Bose music system. Full service catering available from pizza to prime rib from Tony G's adjacent to us. Perfect for any special event. Find us on Facebook, Twitter and Instagram. Annual Turly Roll Off held the Sunday before Thanksgiving. Win a turkey! 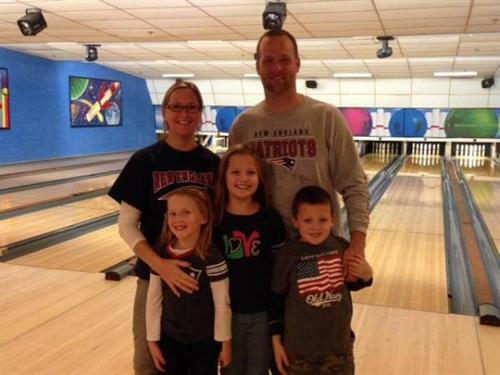 Bumper bowling for the little ones! 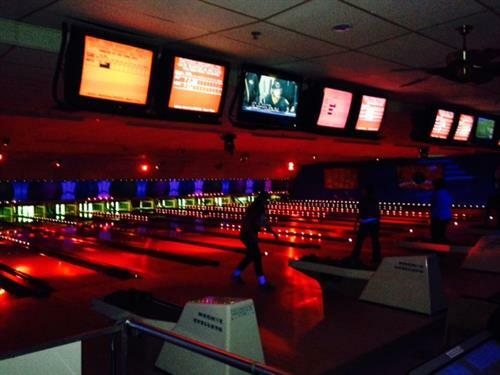 Cosmic bowling. Bowl under flashing glow in the dark lights. 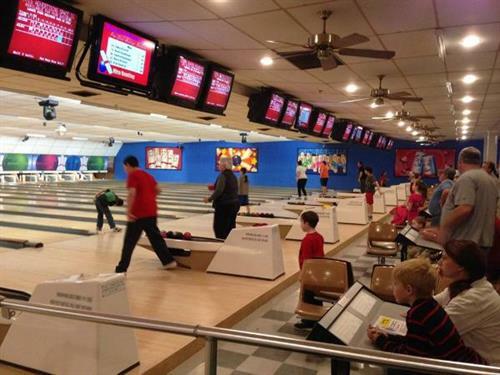 Kids love bowling anytime! 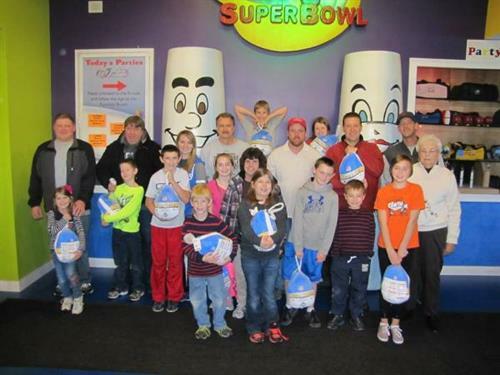 Perfect family outing - fun and affordable! Redeem your winning tickets from the arcade room for a fun prize at our redemption center. Over 50 state of the art games in our new arcade room. For both kids and adults alike! Two private functions rooms - perfect for business meetings/functions or any special occasion. Corporate holiday party with nearly 150 people. We can accomodate all your needs whether your party is large or small. Full service catering available from pizza to prime rib. Cosmic Bowling!! Every Friday night! 9:15 - 11 PM.